Some wine drinkers are thrill seekers, forever in search of the unpredictable or little known. Others seek something less surprising: a wine that is competently produced, attractively packaged and, above all, tastes reliably good. New Zealand Sauvignon Blanc may be the unheralded superstar of this category. It is all of these things and even has to pass muster with a government board. For over three decades, the New Zealand government has mandated that all exported wines earn a Wine Export Certificate. I know of no other country where this is done. A panel of experienced winemakers tastes the wines to ensure they are free of flaws (not oxidative, tainted or “malodorous”). 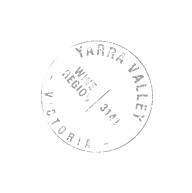 The board also examines labels to check the accuracy of the geographic and vintage information and may perform a chemical analysis to confirm the reported levels of alcohol, extract and total acidity. I’m sure these protective measures would please the New Zealand Sauvignon Blanc fans I know. My friends choose Kiwi Sauvignon because they can drink it over and over without fear of tasting something wildly different, not to mention encountering a flaw. My sister Arian seeks exactly the same experience each time she opens the wine that she drinks every night: Kim Crawford Sauvignon Blanc. What does she expect to find in the bottle? A wine that is non-taxing—i.e., pleasant and easy to drink. My friend Gabrielle likes New Zealand Sauvignon for these same reasons, and when she described it as “an upscale Pinot Grigio,” she meant it as a compliment. The typical Kiwi wine has more character than a basic Pinot Grigio: refreshing and light with a juicy acidity that’s lively but not harsh (unlike some throat-searing Sauvignon from other parts of the world), with aromas of citrus and herbs. These soccer moms buy much of their wine in grocery stores—and sales of Kiwi Sauvignon are up more than 25% over last year at all Kroger stores, according to spokesperson Keith Dailey. (The Kroger chain includes Fry’s Marketplace, Ralphs and Fred Meyer grocery stores in the western half of the States.) Shoppers also have plenty of choices. Mr. Dailey estimates each of his stores stocks 15 to 20 brands of New Zealand Sauvignon Blanc. In fact, the amount of New Zealand wine shipped to this country has more than doubled in just five years, from 2.5 million cases to over 5.5 million. These brands attract remarkably loyal buyers. As much as my sister loves her Kim Crawford, my friends are equally partial to labels such as Matua, Oyster Bay and Spy Valley. Yet because I’ve heard them complain “all New Zealand Sauvignon tastes the same,” I’m convinced some of their loyalty has to do with label art. Kiwi producers are particularly gifted at making their bottles look good, and Cloudy Bay, one of the first Sauvignon Blancs exported to the U.S. from the Marlborough region, in 1990, is a prime example. Although the wine inside was very good, the label was an instant talisman of sorts for New Zealand itself: a moody montage of gray clouds and mountains. Other Sauvignon Blanc producers in the country followed suit with labels as evocative (Oyster Bay’s mountains and water) or visually striking (the Matua label is a bright ocean blue). Kevin Judd, the man responsible for the first Cloudy Bay vintage, produced 25 vintages for the winery before he went on to found one of his own, Greywacke (named for a type of gray stone), in the Marlborough region. Today Mr. Judd makes two types of Sauvignon Blanc: One is a classic racy wine fermented in stainless steel, and the other is fermented in mostly old barrels, using wild yeast, which he believes results in a richer, more complex wine. I wondered what Mr. Judd believes made his Cloudy Bay Sauvignon Blanc, and the Sauvignon Blancs that followed, resonate so completely with American drinkers? He thinks it has to do in part with the suitability of the grape to the climate. “Sauvignon Blanc thrives in Marlborough and produces wines of considerable varietal intensity,” he said. The cool but sunny South Pacific climate allows the grape to ripen fully with “abundant natural acidity.” The result is a wine that is easy to drink—and easy to love. The challenge is to keep wines in balance, said Mr. Judd. They need to have “crisp but tame acidity,” and they should also be free of the vegetal or herbaceous character—sometimes called a “green bean” aroma—Sauvignon Blanc can sometimes possess. Maybe the country’s export board was stopping all wines with the green-bean flaw at the border, because I didn’t find one among the 17 bottles I purchased for my tasting. None was oxidative, malodorous or corked either, thanks to their screw caps. New Zealand producers were among the earliest adopters of screw caps, and virtually every wine in the country comes bottled under one—which some oenophiles have waggishly suggested may be an even greater contribution to the world than New Zealand’s Sauvignon Blancs. A few wines were slightly disappointing—a bit one-dimensional or dilute, or lacking the trademark crisp acidity. They weren’t terrible or flawed, just a bit boring—good for a picnic if not the dinner table. But there were also some pleasant discoveries: a well-priced 2014 Dashwood Marlborough Sauvignon Blanc ($11) that was refreshing and lively, and an even better $15 bottle of 2014 Dog Point Vineyard Marlborough Sauvignon Blanc that was a tangy, minerally delight. The well-known and widely distributed brands (Matua, Kim Crawford, Oyster Bay) proved solid if unexciting. “Generic New Zealand Sauvignon Blanc,” pronounced one friend about the Oyster Bay. “Perfectly acceptable,” said another of Kim Crawford. Even the 2014 Cloudy Bay Sauvignon Blanc ($24) was deemed merely good, a bit soft with an unassertive citrus note. It was easily eclipsed by two of Kevin Judd’s Greywacke bottlings: the 2014 Greywacke Marlborough Sauvignon Blanc, a round, lush, vibrant wine (a good deal at $20 a bottle) and the smoky, rich 2012 Greywacke Wild Sauvignon Blanc, which proved the most complex and expensive ($30) wine of the group. “This doesn’t even taste like New Zealand Sauvignon Blanc,” said one taster. The same was true of the 2014 Craggy Range Te Muna Road Vineyard Sauvignon ($16), the only wine in the group that wasn’t from Marlborough but from Martinborough. “This is more like a Pouilly-Fumé,” a friend said, referencing the French appellation known for wines of sophistication and style—and usually much higher cost. New Zealand’s producers (and their export board) have done a remarkably good job of providing a steady supply of good Sauvignon Blanc at very good prices. While just a handful of wines actually dazzled, there were few outright duds. And for oenophiles in search of reliable bottles, that’s probably enough.